Author Jack Hobey has written about Edward Beebe, a photographer who would often lie about the location of his photos. Edward Beebe was a popular photographer in northern Michigan in the early 1900s. He created postcards with his photos but often deceived people regarding the location of the shots. “I think a lot of these cards were intended to take advantage of tourists and visitors,” says local author Jack Hobey. Edward Beebe was hired by lumber barons in northern Michigan to photograph their lumber operations in the early 1900's. Edward Beebe was born in 1872. He lived in Kalkaska and began working as a teacher and school administrator. Then in 1900, he switched to a career in photography. That’s about the time he was hired by lumber kingpin, William Mitchell, to shoot Mitchell’s lumber operation. Boyne City author Jack Hobey has written two books about Edward Beebe. He says back then, lumber barons were really egotistical. Postcards were really popular in the United States during that same time. Jack says sending and collecting postcards was a big hobby in the nation from about 1905 to 1915. And some of those postcards were of lumber operations. 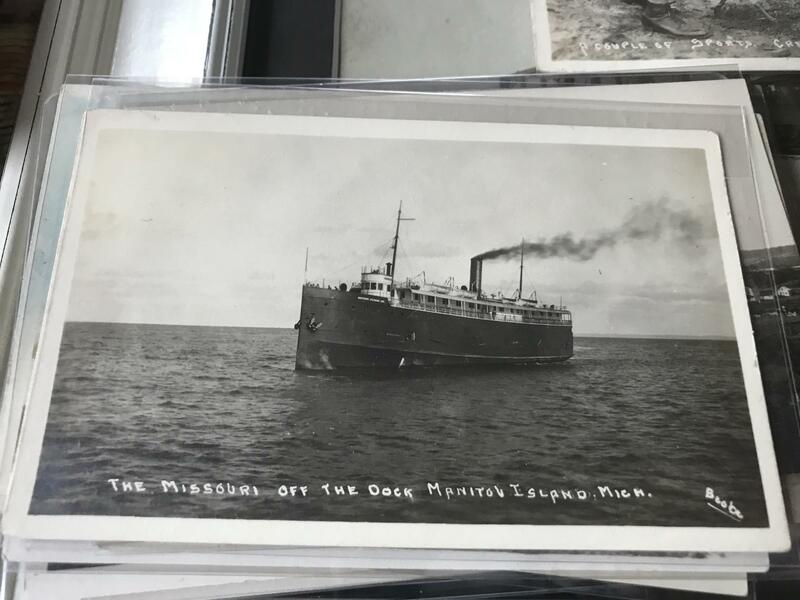 “So, these postcards would go all around the country, and they would display the breadth and the scope of the operations that these lumber barons were managing,” he explains. But once the logging industry moved out of Leelanau County, Edward Beebe had to shift his focus. Instead of shooting lumber operations, Beebe focused on shooting buildings, natural landscapes, portraits, even animals. A ship named, "The Missouri" in the waters off one of the Manitou Islands in Lake Michigan. Both photos are signed by Edward Beebe. Jack says what Beebe was doing was taking advantage of a great photo. “The Leland card he could sell in Leland because people in Leland wanted to send people … photos of Leland,” he says. Jack thinks most people living in Suttons Bay probably could recognize the photo wasn’t taken in their town. Jack Hobey says Beebe often used this trick. Another example is a picture of a chipmunk that showed up all over northern Michigan. About 15 years ago, Jack Hobey began noticing Edward Beebe’s postcards in antique stores around the area. Now he's collected about 2,500 of them. He was intrigued seeing what Leelanau County looked like in the early 1900s. But he’s not just interested in what’s on the front of the cards, but also what's written on the back of them. “It’s history and it’s art in a nutshell,” he says. Jack Hobey is the author of "Edward Beebe's Historic Leelanau Photographs". For more information about his book, click here. 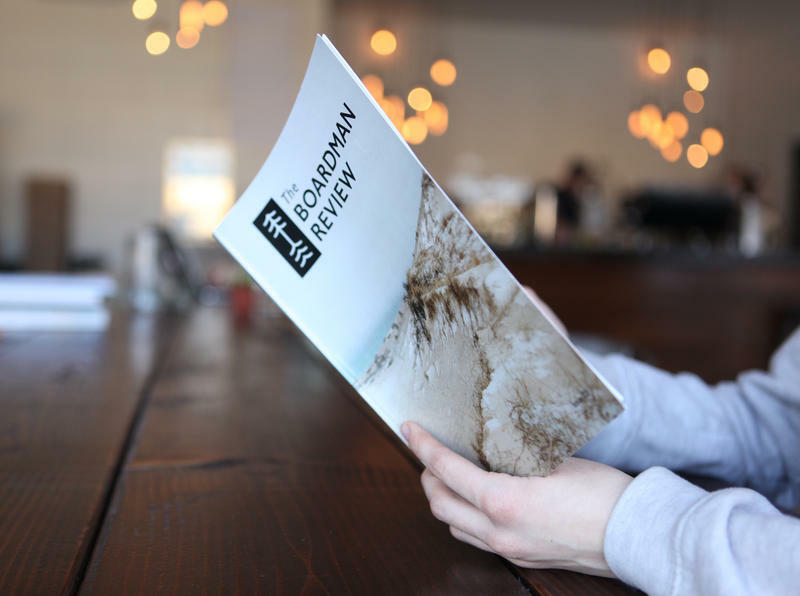 The Boardman Review is a quarterly publication founded by brothers Nick and Chris Loud. They recently published their third issue, a winter edition. When Anders Kelto listened to sports podcasts, what he usually heard was a couple of guys sitting around bantering with each other. “There was no good audio sports journalism in the world, at least that I had been exposed to,” he says. Anders is changing that. 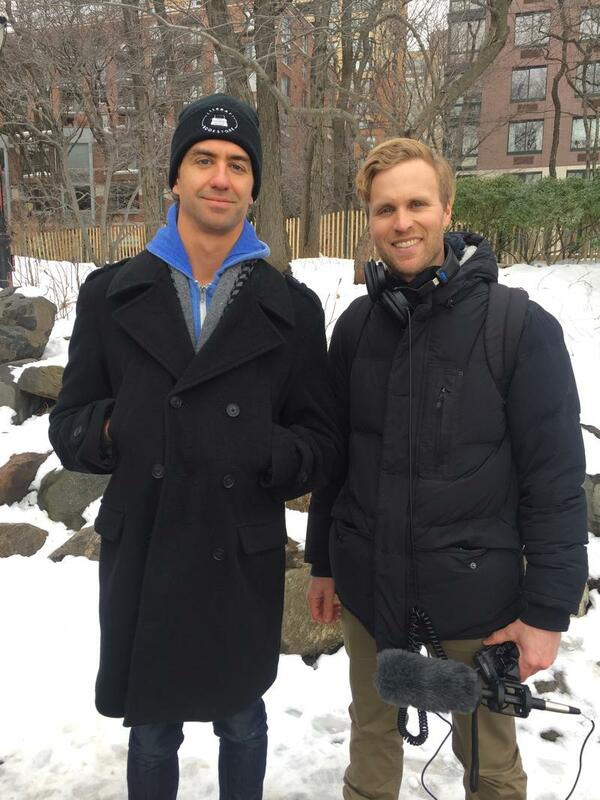 Today, the Traverse City native is out with his own podcast —it’s a sports documentary series. Parallel 45 Theatre is about to try something new. The professional theatre company started in Traverse City seven years ago and typically produces three to four shows throughout the year. Next year, the company wants to produce more shows, for more people.